Never seen before but coming soon, Melbourne is welcoming its first summer ice rink for Christmas! 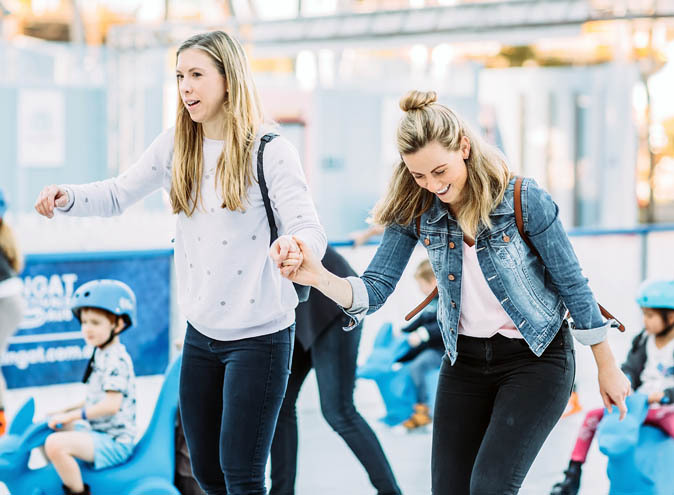 Air Canada have partnered with the Queen Victoria Market for the Air Canada Ice Rink from the 1st to the 24th of December 2018. 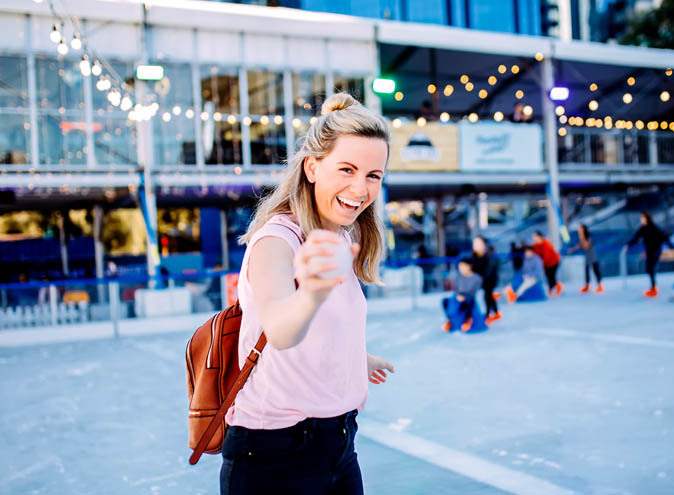 All market shoppers will be invited to get their skates on and join the fun and magical moments of a northern hemisphere Christmas during the first 3 weeks of Melbourne’s unforgiving summer. The rink will be a small and necessary saviour for those who have always dreamed of ice and snow around Christmas time. The Air Canada Ice Rink will ‘pop-up’ under the Queen Vic Market’s 140 year old historic shed and merge Canada’s famous winter culture with Australia’s festive summer. The rink will offer cool fun for skaters of all ages. Skating sessions will run hourly with skates, helmets, skate aids (and pads for exposed knees) available for hire. But there will be much more fun on offer off the ice too. With the airline celebrating their expansion of non-stop routes from Melbourne to Vancouver, Air Canada is also offering Melbournians a tempting taste of Canada itself. Rink-side treats will include maple syrup ice cream from the Markets Geloso Galateria, Canada’s legendary poutine (a national treasure of french fries, cheese curds and gravy), plus fairy floss and popcorn for little ones. The Air Canada Ice Rink will be open on market days between 1 and 24 December, plus on Wednesday evenings as part of the Summer Night Market. Tickets cost $10 for children (under-14’s), $15 for adults, and $45 for a family pass (two adults and two children). You can pre-book your tickets online, or just pay on the day when you rock up, whatever floats your boat. 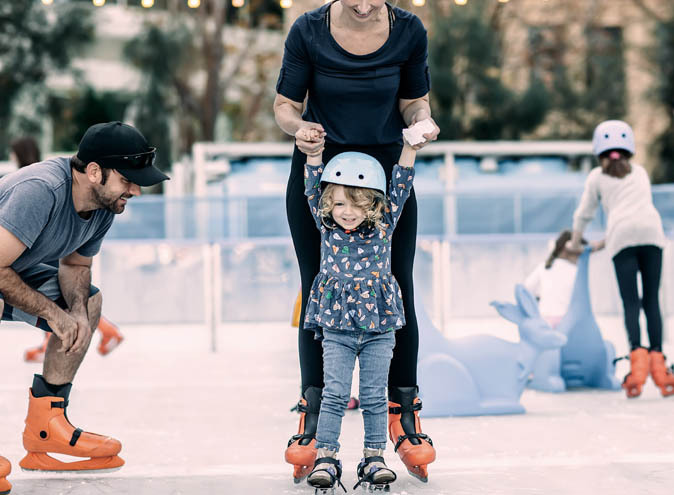 The Air Canada Ice Rink is part of a packed program of festive activities at the Market which includes visits from Santa, Santa’s mailbox, carols, a Christmas trail for kids, and sustainable Christmas workshops. When: 1st to 24th December 2018 on market days (Tuesday and Thursday through to Sunday). The Market and the ice rink will be open on Christmas Eve, Monday 24 December. On Wednesdays, the rink will be open in the evening only, 5pm–10pm alongside the Summer Night Market. Rink open times vary each day – see ‘more info’ link below for full details and timetable. Price: $10 for children (under-14’s), $15 for adults, and $45 for a family pass (two adults and two children).